To kick off our celebration, I’ve put together a FREE printable to get your kiddos reading this Spring! Hang it on the fridge, car, or the bathroom mirror to keep track of all your reading fun. Click Here for a copy of my Spring Reading Challenge Printable! 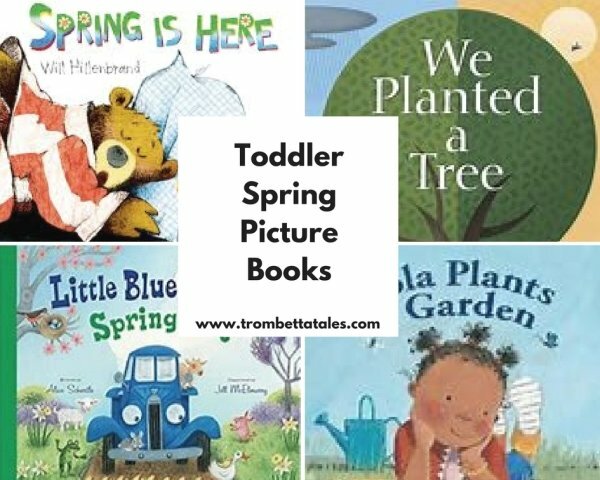 Below are some picture books that beautifully describe the magical transition from winter to spring for young toddlers to easily understand. It’s easy to catch “spring fever” with this delightful story of friendship. Spring has arrived and Mole can’t wait to share it with his friend Bear, except that Bear hasn’t woken up from his long winter nap. Readers will laugh out loud as Mole is persistent in his attempts to wake up Bear, so that they can celebrate Spring together. Repetition and simple illustrations make this book easy and fun for young readers to follow along. A beautiful story about a little girl who imagines planting a magical garden of her own. Inside her garden, she dreams of planting chocolate bunnies, seashells and jelly beans, alongside flowers that change colors. It’s the perfect book to spark discussions about what readers would plant in their own imaginary garden. Vibrant illustrations show the transformation from winter to spring in this wonderful book written and illustrated by a husband and wife team. Kevin Henkes cleverly uses alliteration and repetition to teach readers about changing of seasons and the joys of springtime. A sweet story about a little boy and his dog that decide to plant a garden, so that spring will come faster and all the brown outside will vanish. They wait and wait until one day when they walk outside a beautiful green landscape surrounds them. Detailed illustrations on each page help readers understand the gradual changes that take place when we transition from winter to spring. A poignant book that serves as a beautiful reminder of why trees are so important in our environment. Readers follow families from different parts of the world that plant a tree, and reap the benefits of clean air, shade, fruit etc. It’s also an important book to read for Earth Day! A spring book list wouldn’t be complete without Eric Carle. Paired with his signature illustrations, this book does a magnificent job of describing the life cycle of a flower told from the perspective of a seed. An inspirational book for young readers to really learn the nitty-gritty about how flowers grow. Another beloved book in the Little Blue Truck series, this book doesn’t disappoint! Little Blue Truck Fans will squeal with delight as they lift the flaps to reveal spring barnyard animals and will love singing along to the familiar rhythm of other Little Blue Truck books. If you love the Lola series, and are looking for a book that features a diverse main character this book is a wonderful addition to your collection. When Lola is inspired by a book of garden poems, she decides to plant a garden of her own. Since Lola LOVES books, she ventures to the library and checks out books about gardening to get her started. Rosalind Beardshaw’s illustrations do a magnificent job of capturing Lola’s love for books, gardening and her loving family. If you decide to test out my Spring Reading Challenge, I’d love to hear about it! Simply tag me on Instagram @trombetta_tales or leave a comment on the blog! 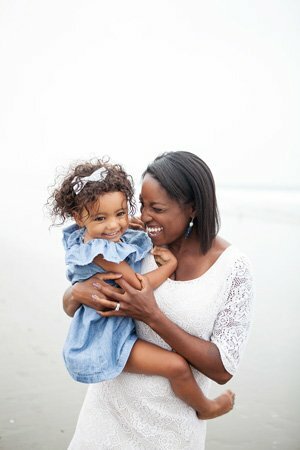 What are some of your favorite books about spring? I’d love to hear your suggestions!